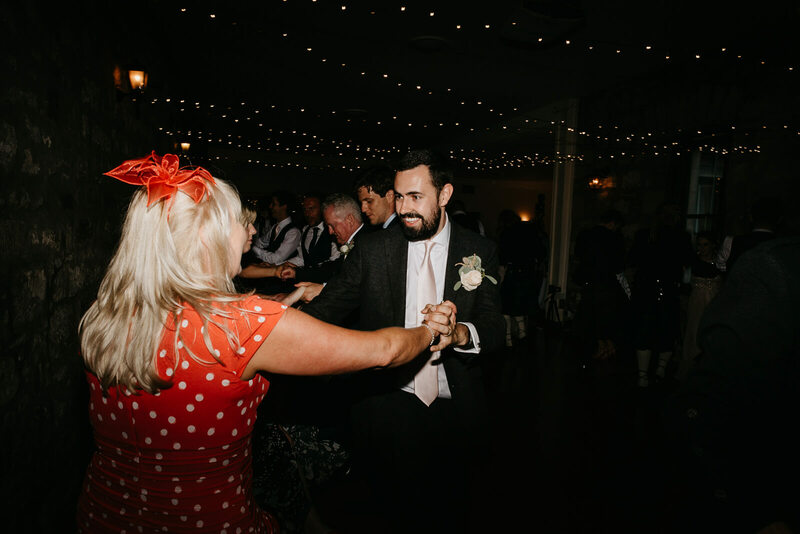 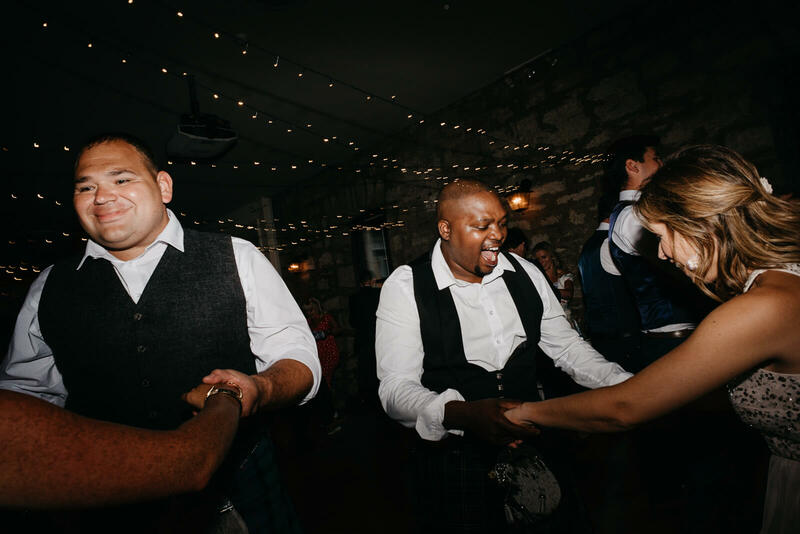 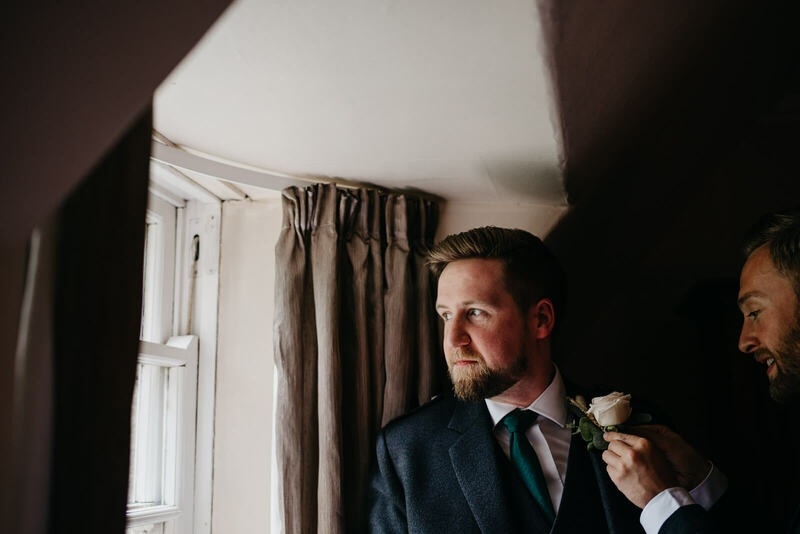 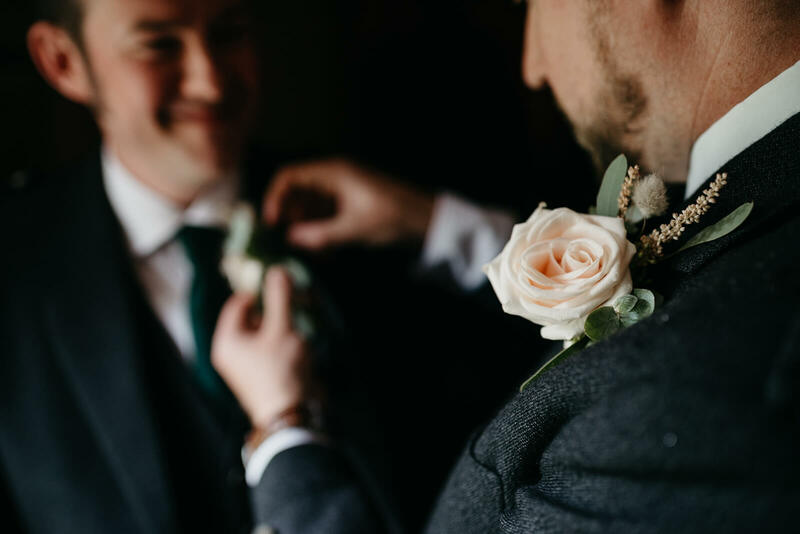 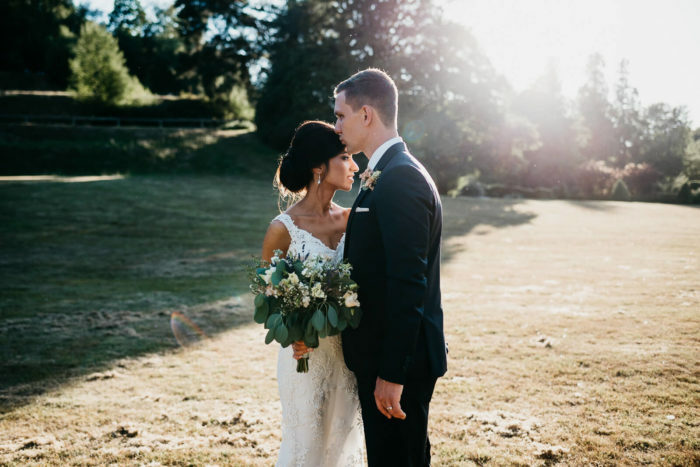 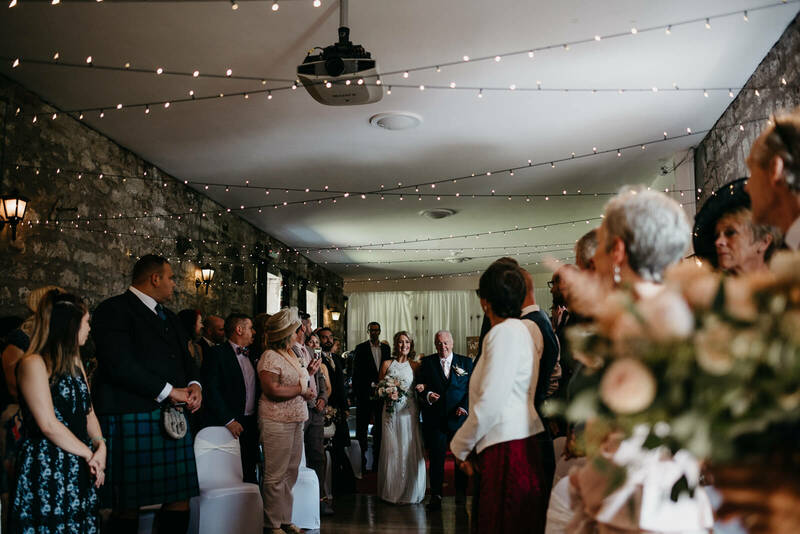 Laurie & Michaels Wedding at Culcreuch Castle in Fintry was all types of swoon-worthy. 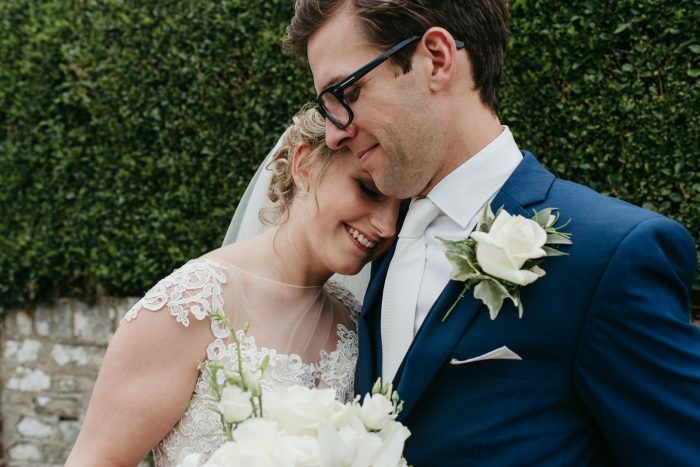 So much so I have no idea where to start. 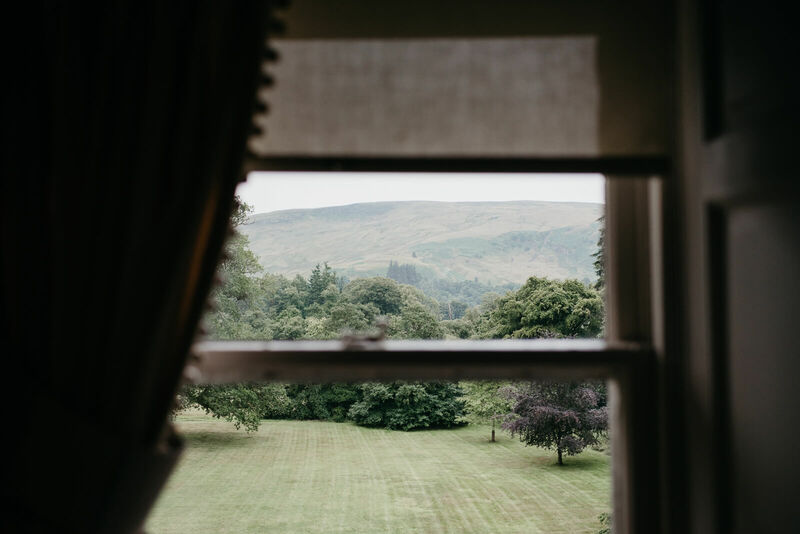 Culcreuch Castle is in the tiny village of Fintry, near Stirling. 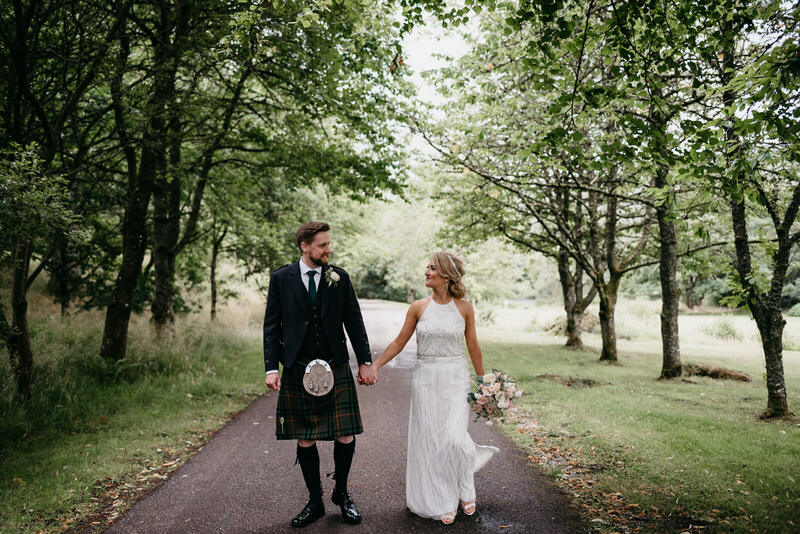 It’s perfectly placed in the heart of Central Scotland, 20 minutes from where I grew up, and around 40 minutes north of Glasgow. 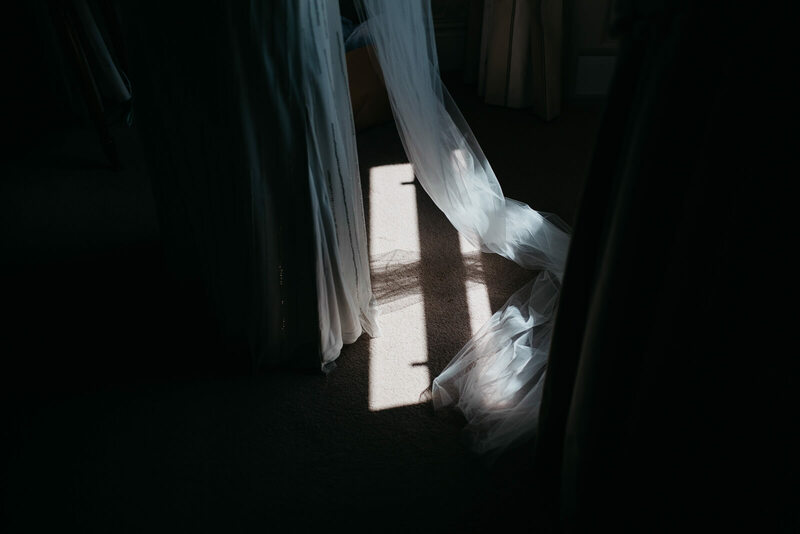 That is where the connection to the city ends. 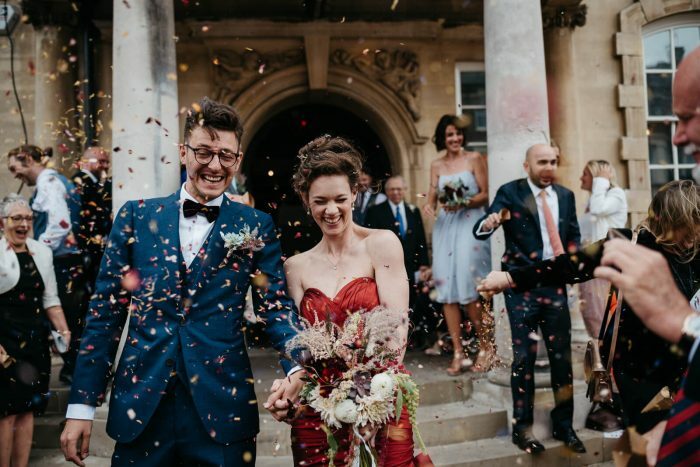 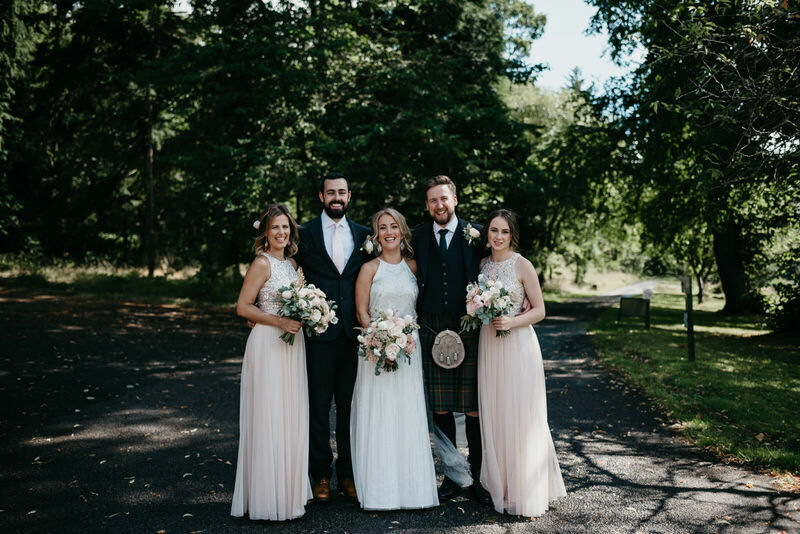 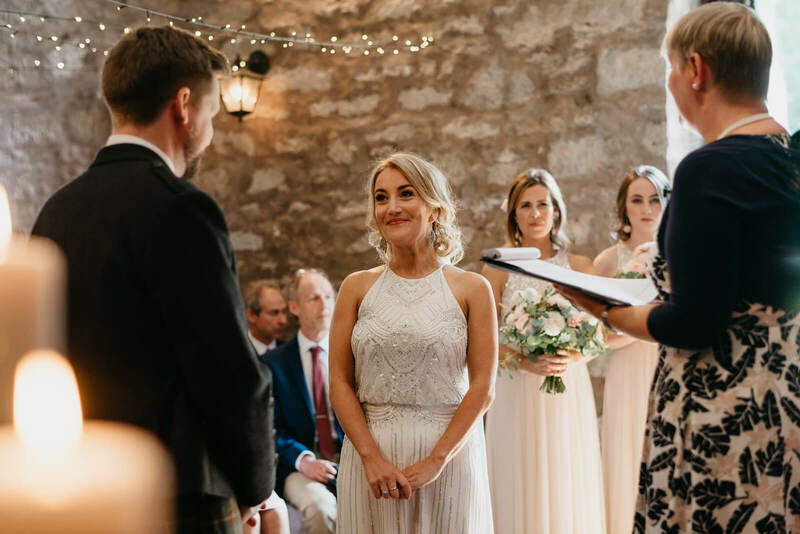 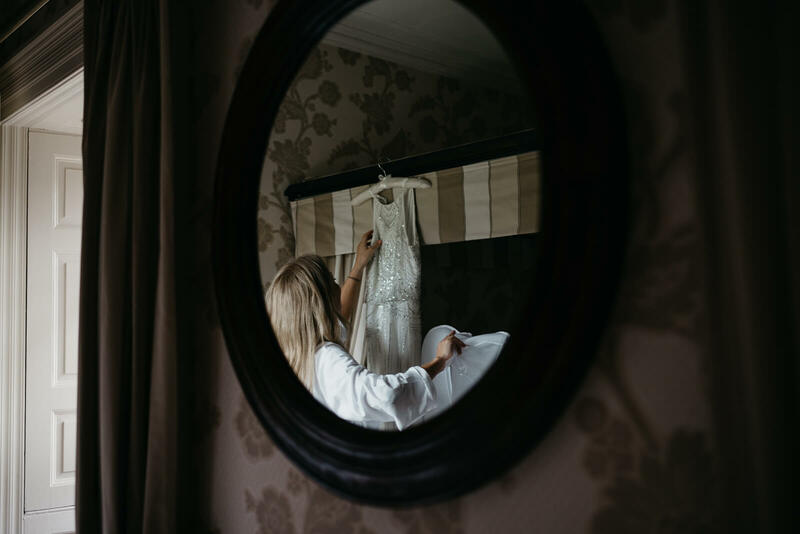 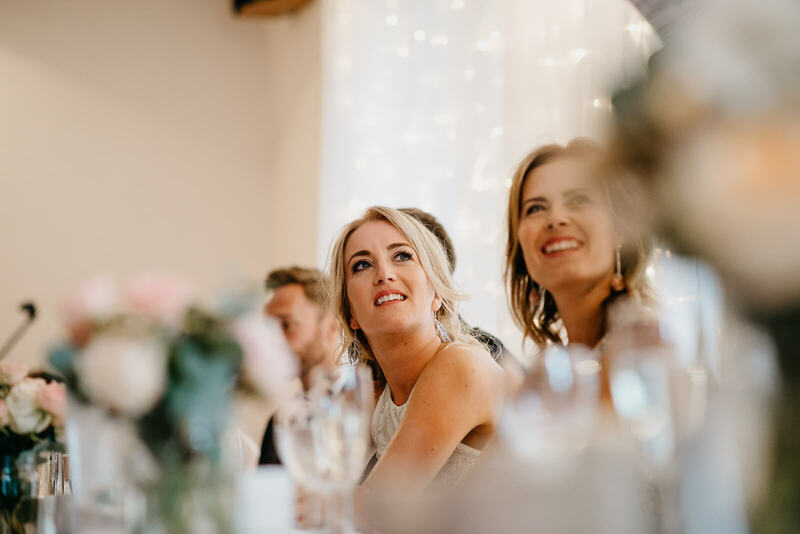 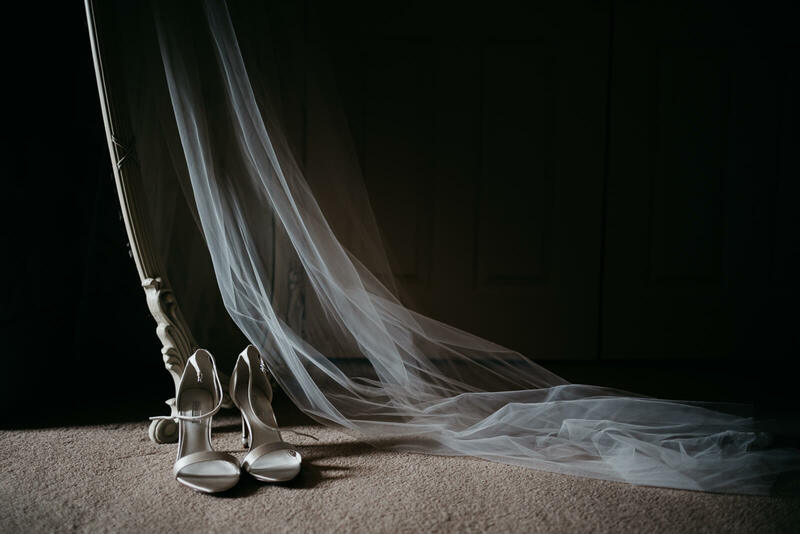 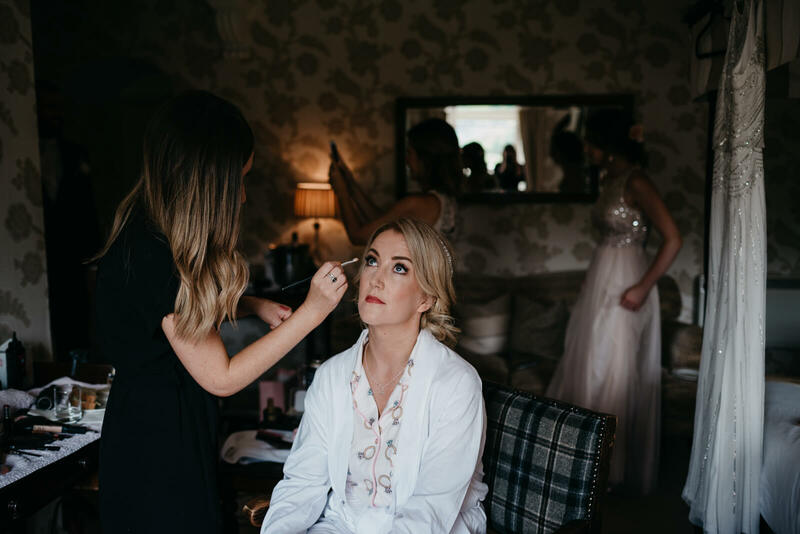 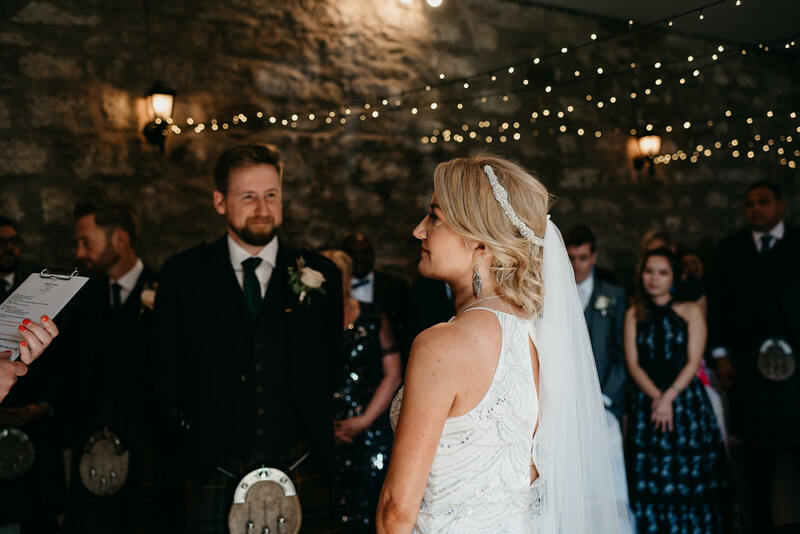 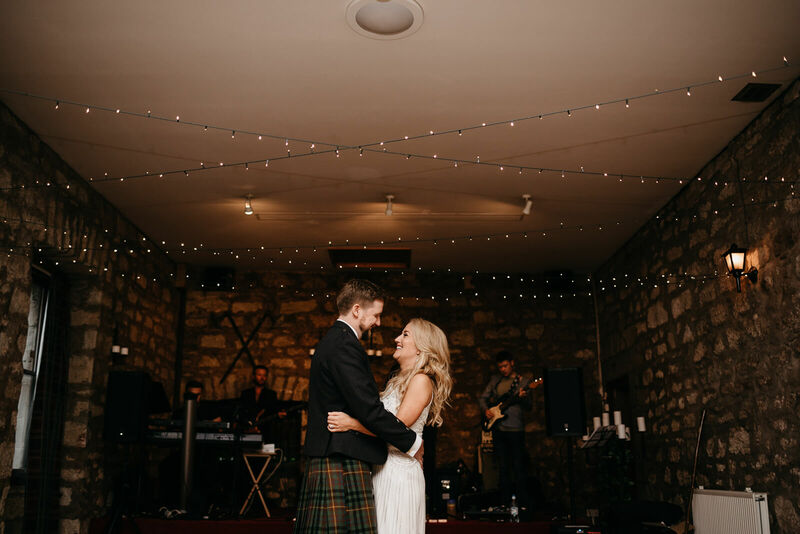 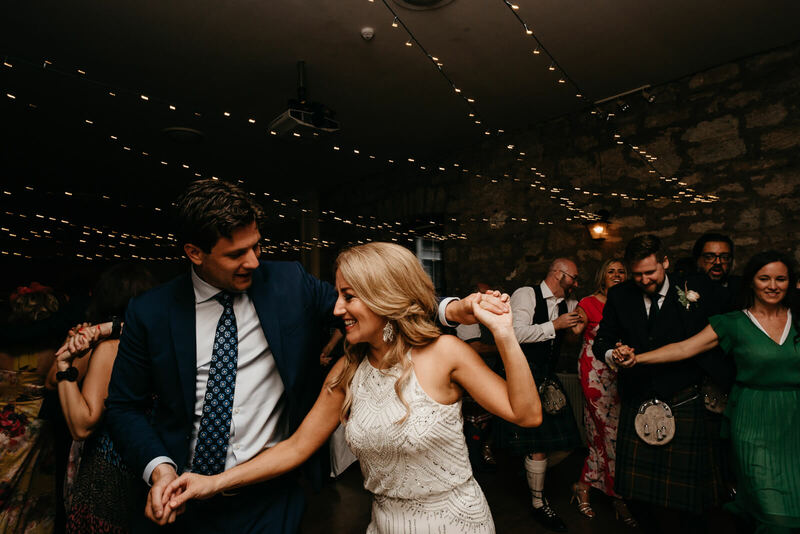 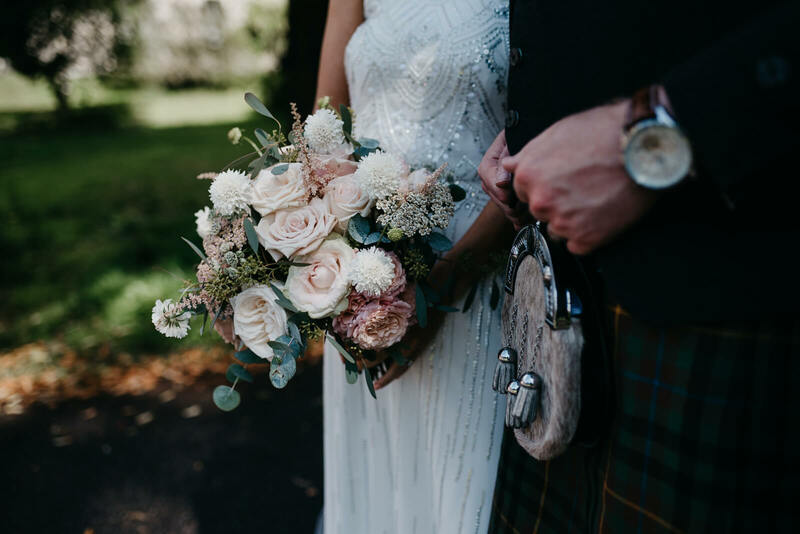 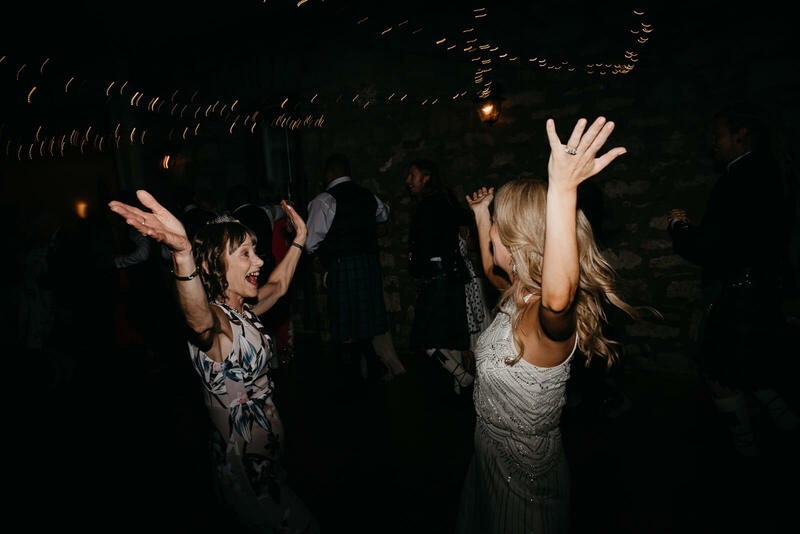 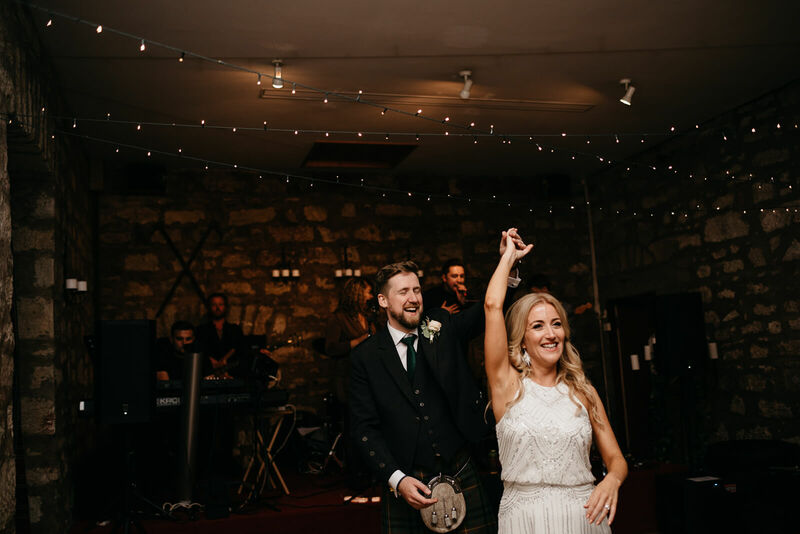 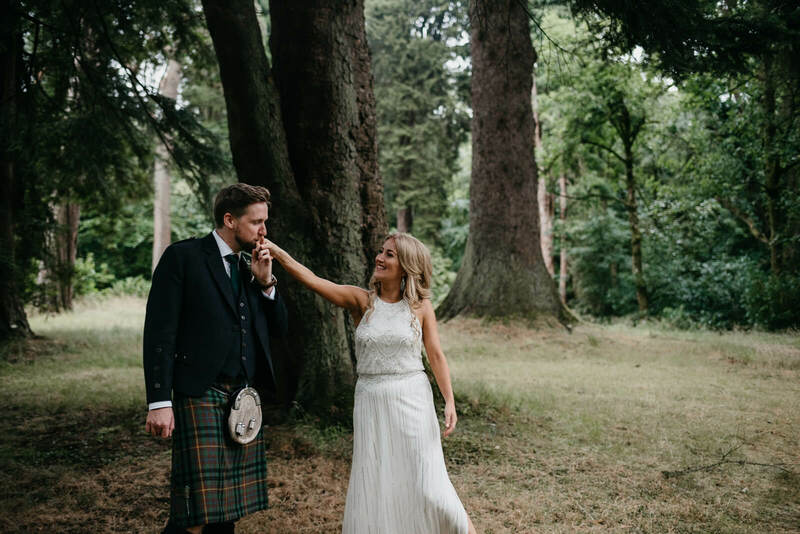 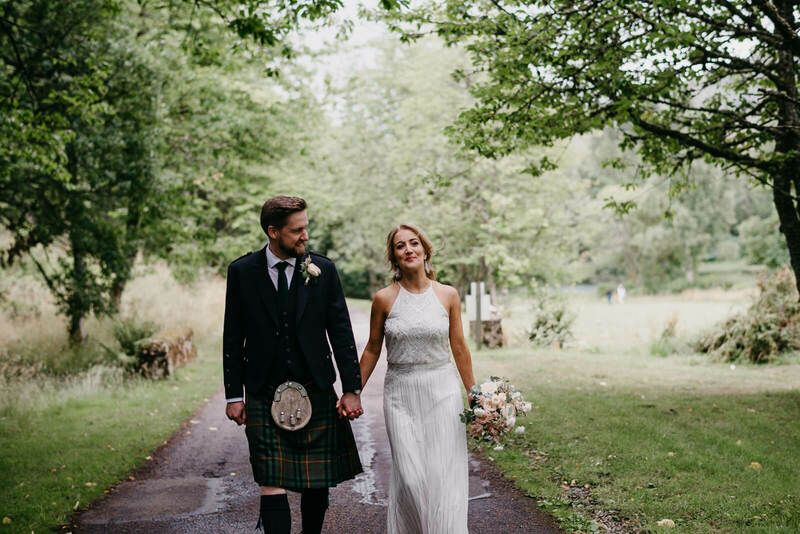 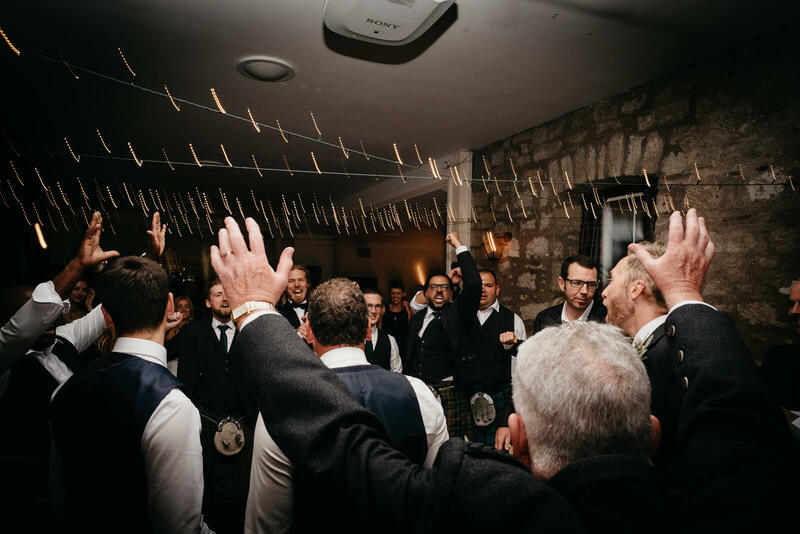 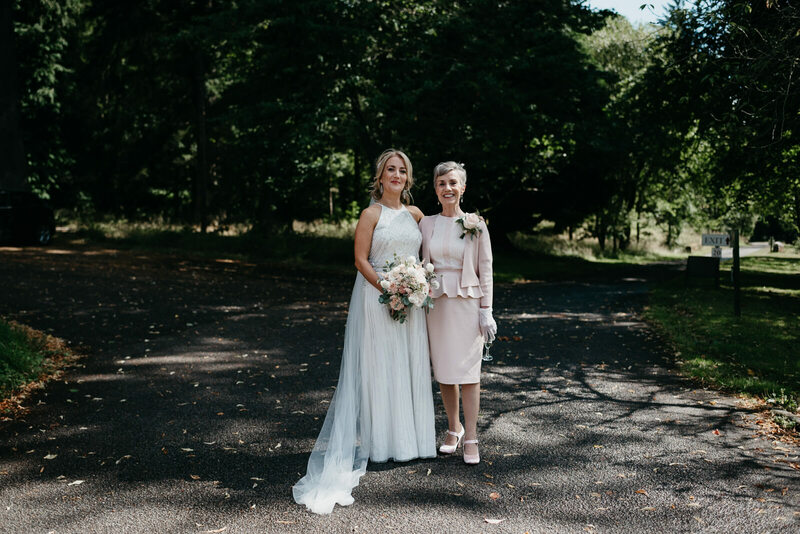 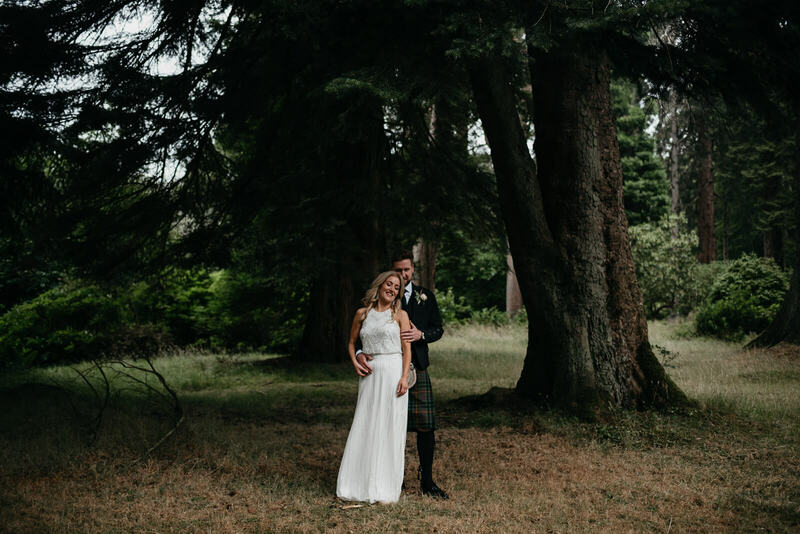 Surrounded by rolling landscape and farmland, Culcreuch Castle is a dream wedding venue; extensive grounds, striking interior, breathtaking setting and fairy lights aplenty. 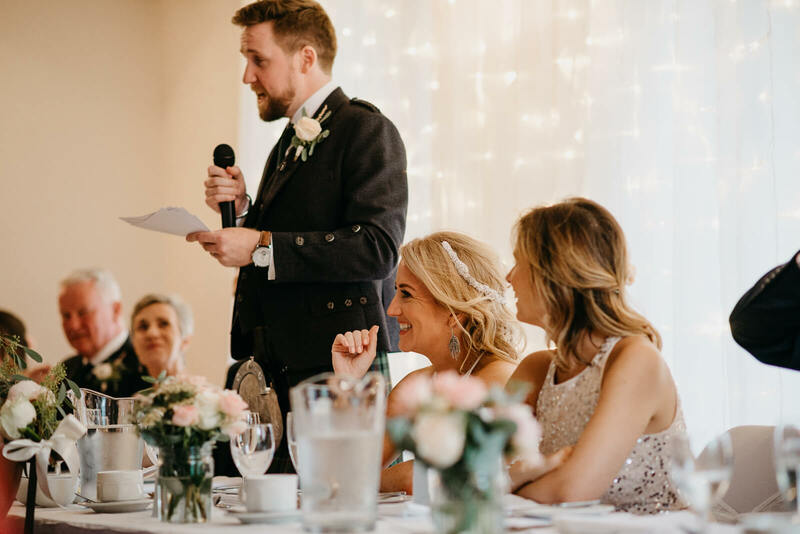 When I arrived the first thing that had to be discussed was the weather! 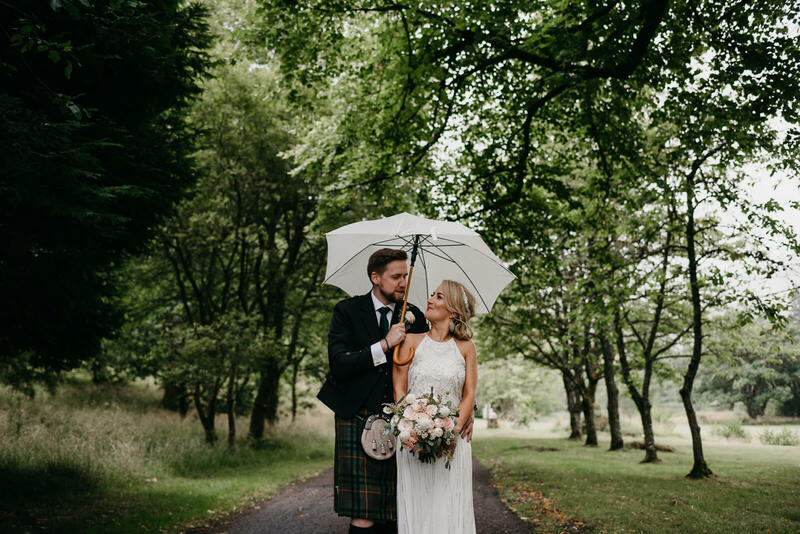 Where most brides would be devastated by the overcast sky and heavy rain fall, Laurie was so happy! 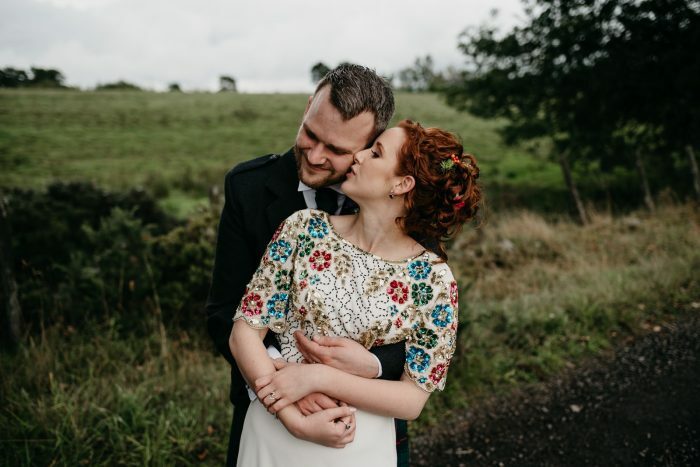 The first time she messaged me, she said “We visited the castle on a dull and overcast day and even then the light was gorgeous. 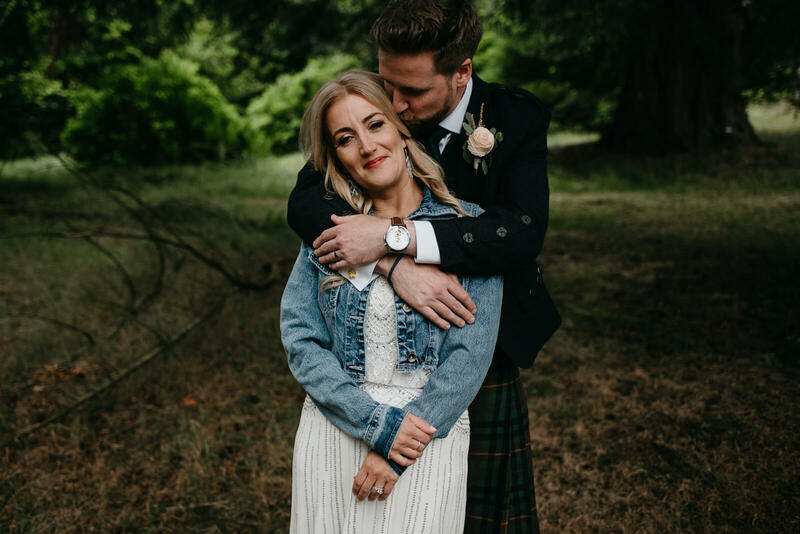 Maybe I’ll be one of the few brides not wishing for a sunny day!” Given the recent spell of baking hot weather, when we met for their Glasgow engagement shoot the week before we had kinda resigned ourselves to the prospect of a sunny, summer wedding day. 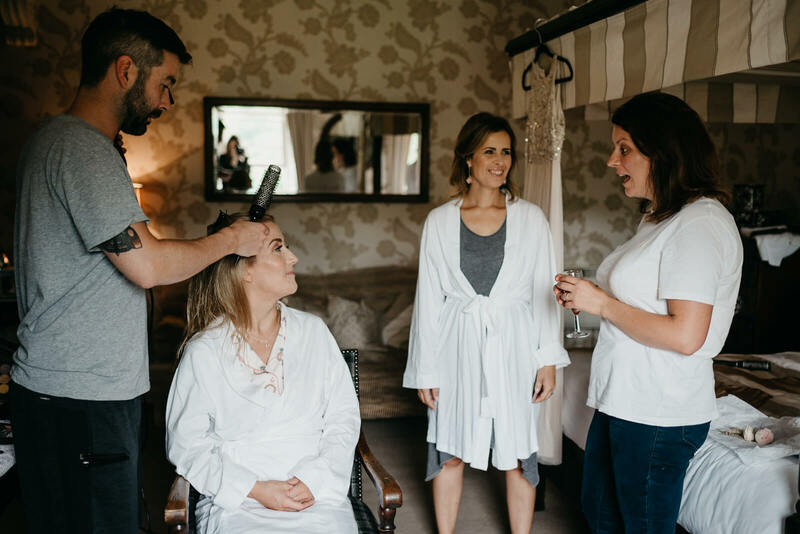 Getting ready in the morning was really chilled, it was so easy to tell everyone was excited for their day. 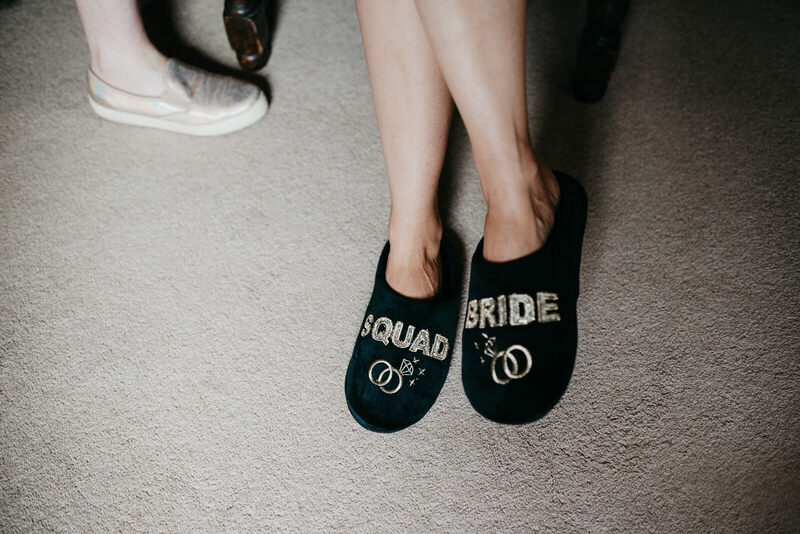 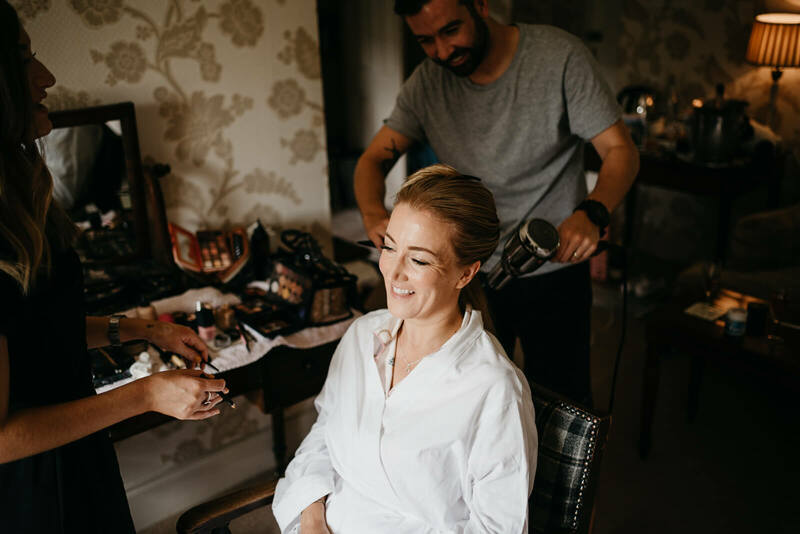 I spent most of the morning laughing with Laurie and her bridesmaids and bridesman, before popping along to capture Michael’s final preparations with his groomsmen and parents. 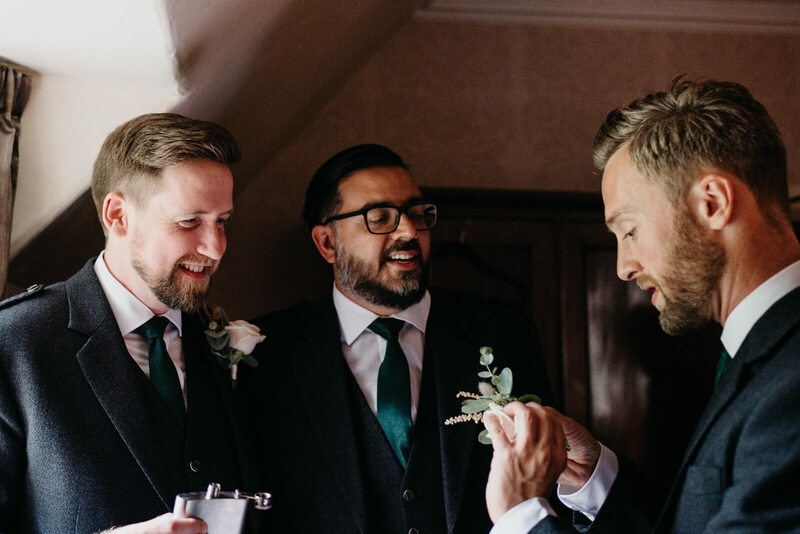 The ceremony was full of giggles too, especially at Jamal’s reading, ‘How Falling in Love is Like Owning a Dog’ by Taylor Mali. 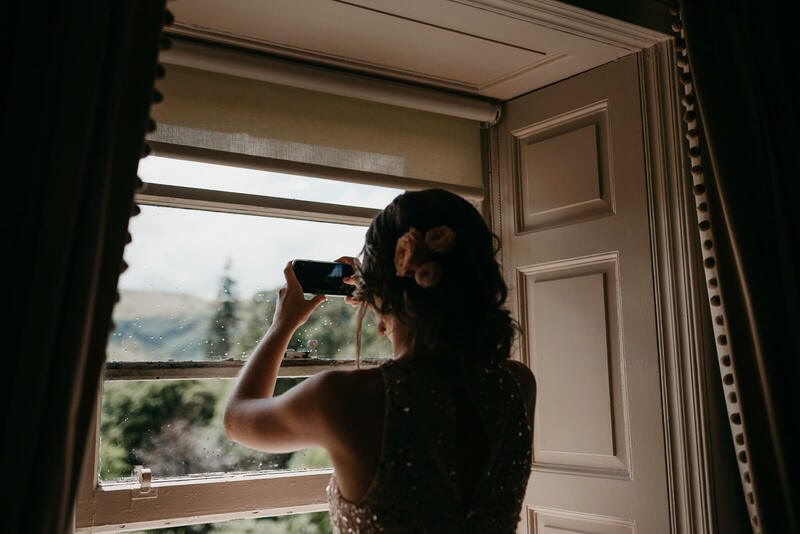 We were blessed with 20 minutes sunshine (honestly, we had all 4 seasons in the space of 10 minutes) just after the ceremony so guests gathered in front of the Castle for drinks and canopies while I captured family group shots and bridal party portraits. 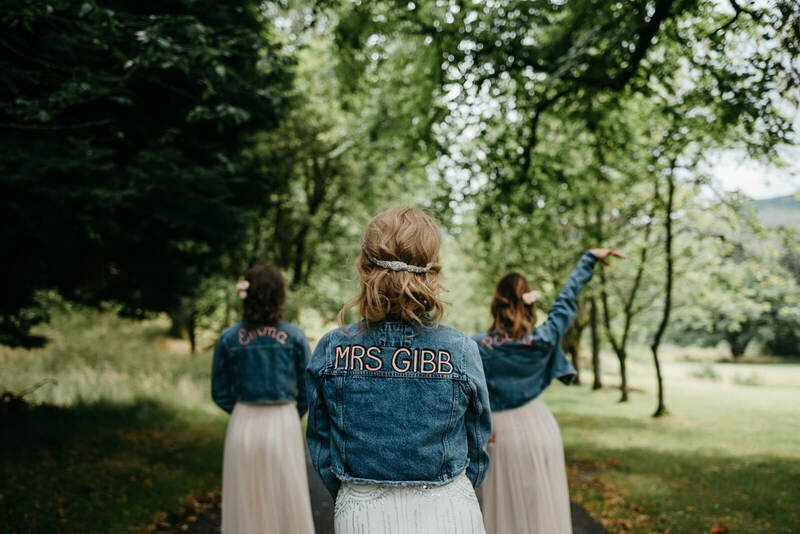 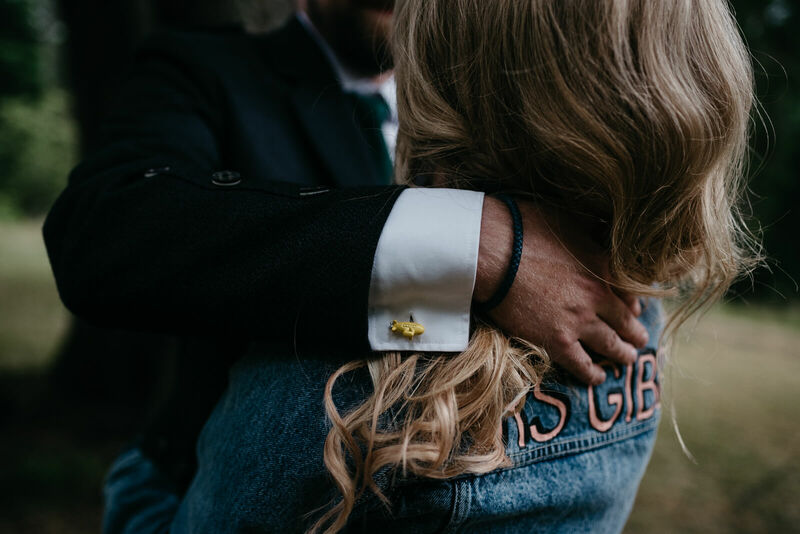 Laurie is an artist by trade and customised the most awesome denim jackets for her and her bridesmaids. 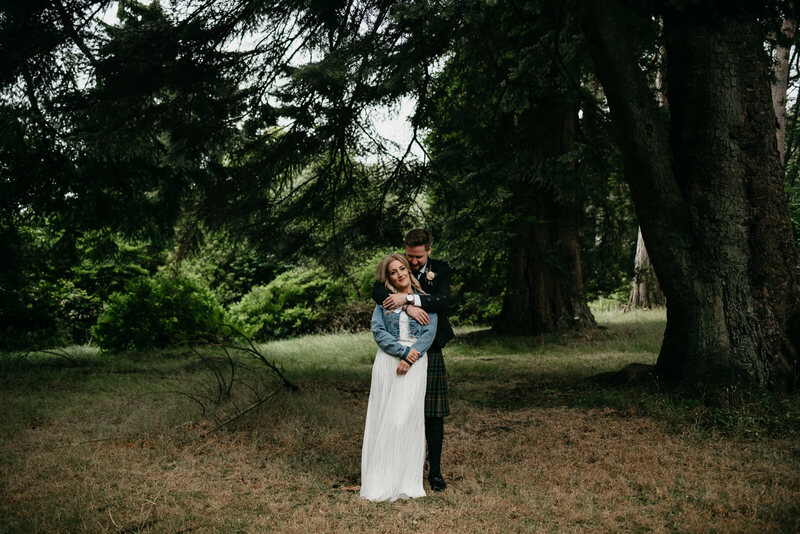 Just before the showers started again, with a brolly in hand, we headed away from the Castle for some couple portraits. 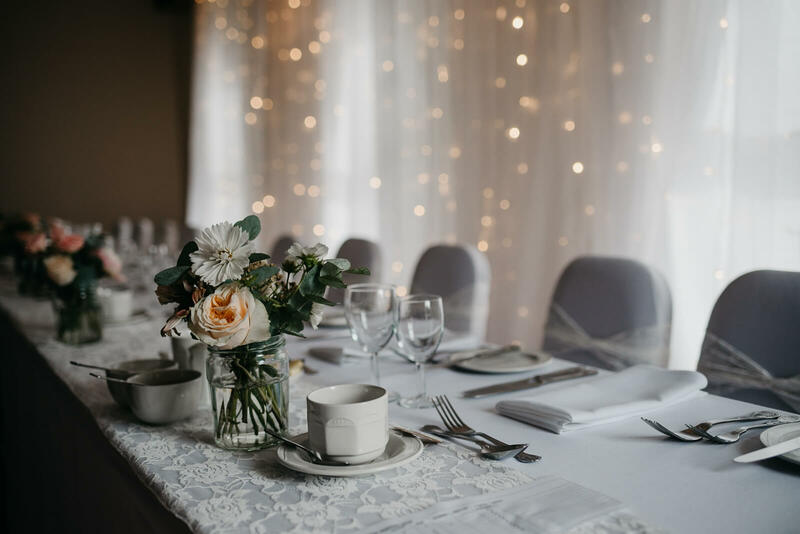 The Dining room looked amazing, again with lots of custom details hand-painted by Laurie, and Floral arrangements by Sophie at Cosmos Floral Design. 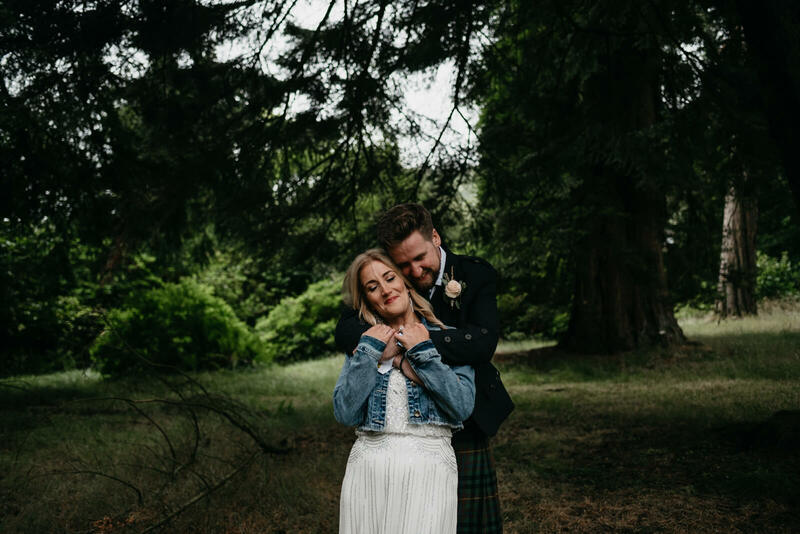 We headed out again after dinner for more couple portraits. 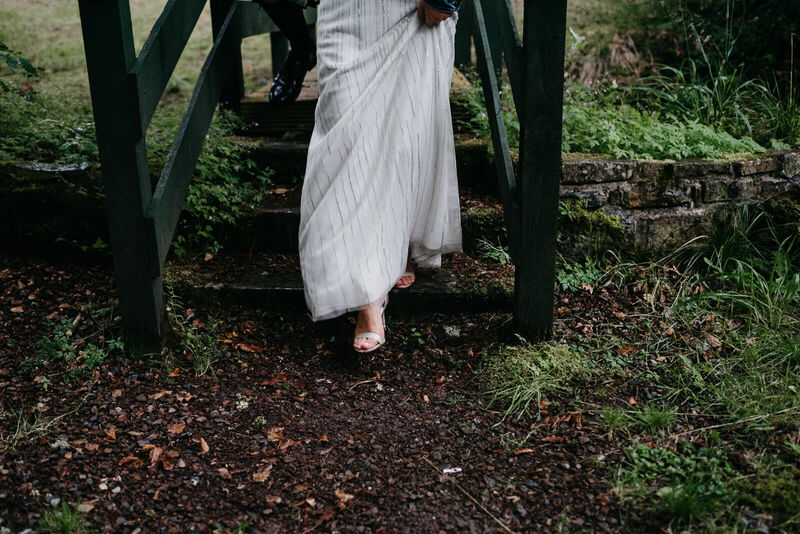 Despite the drizzle Laurie wasn’t afraid to get her dress dirty (like her slippers had the evening before!). 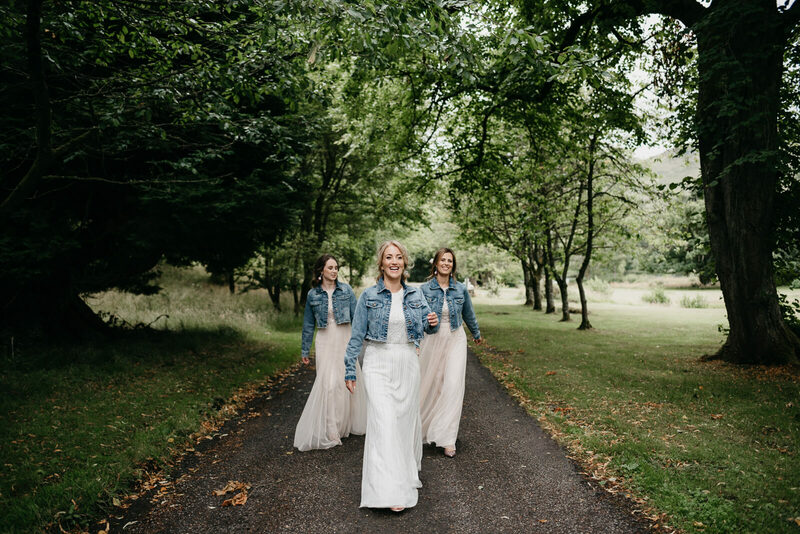 While we maybe didn’t get golden hour or a sunset, we did get Laurie favourite type of light, which was much much more important than any spectacular sunset.